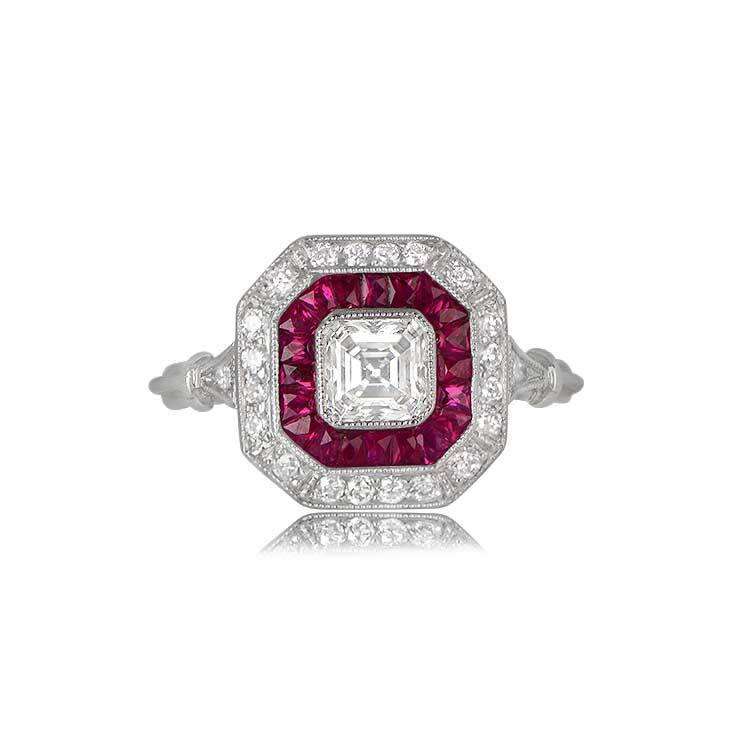 A beautifully designed engagement ring that centers Asscher-cut diamond weighing approximately 0.50 carats, I color, and VS2 clarity. 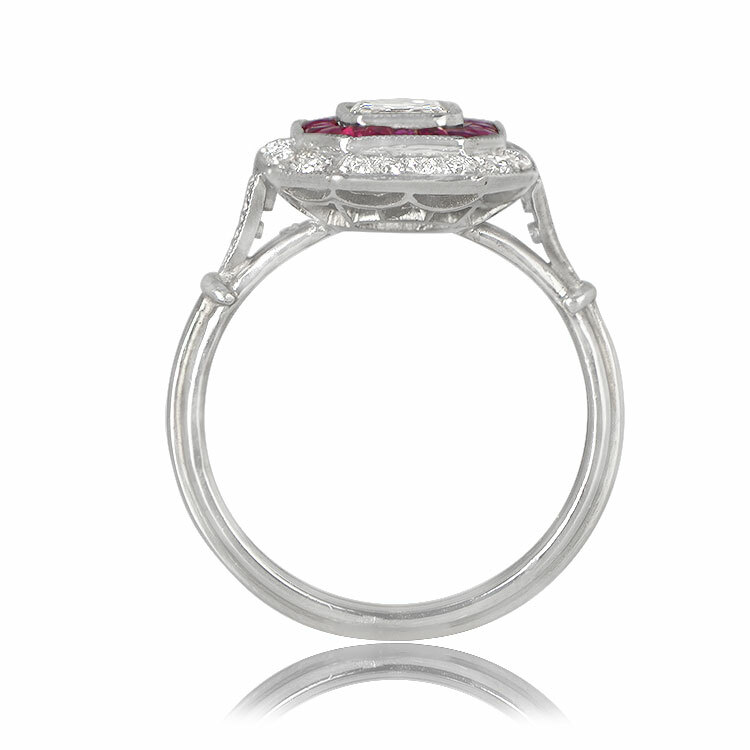 A double halo follows the shape of the diamond featuring natural calibre and French cut rubies, and a row of old cut diamonds. 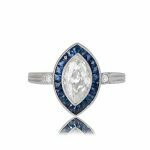 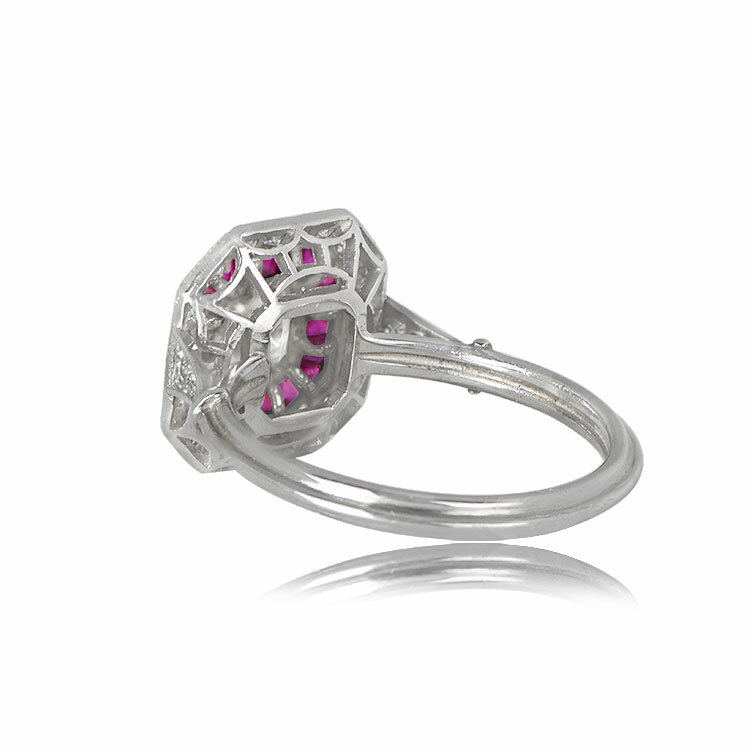 This platinum ring features a triple-wire shank and a decorated under-gallery. 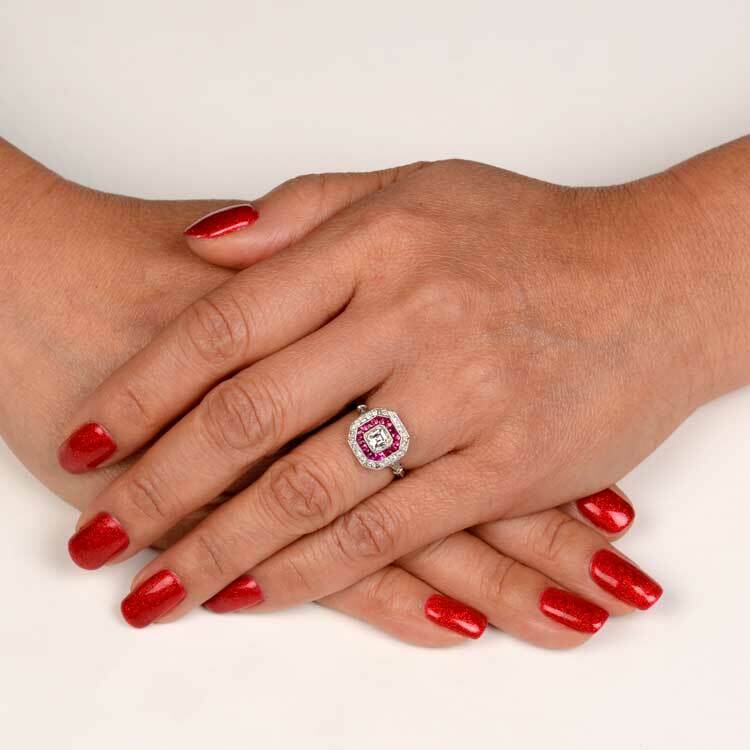 The total approximate weight of the rubies is 0.50 carats. 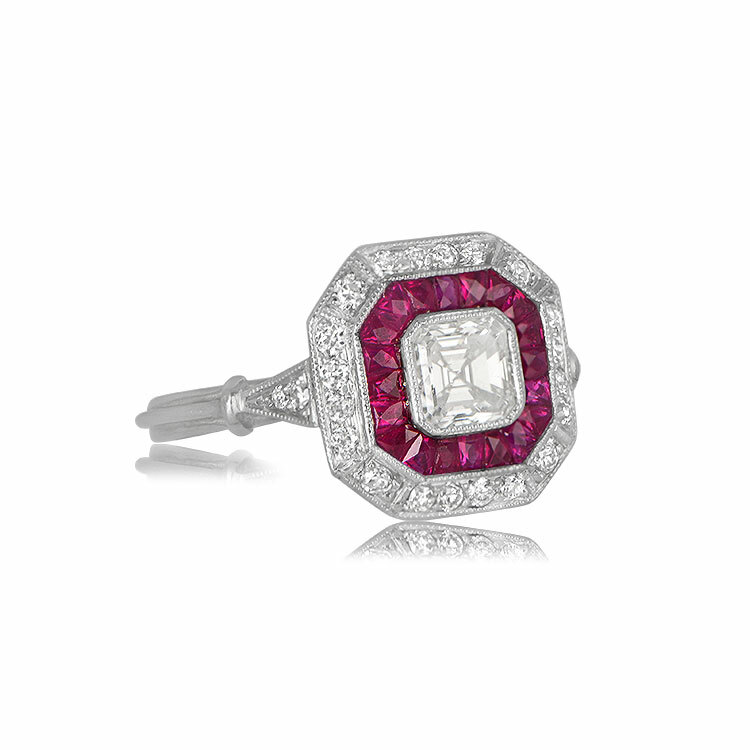 The total diamond weight of this ring is approximately 0.90 carats. 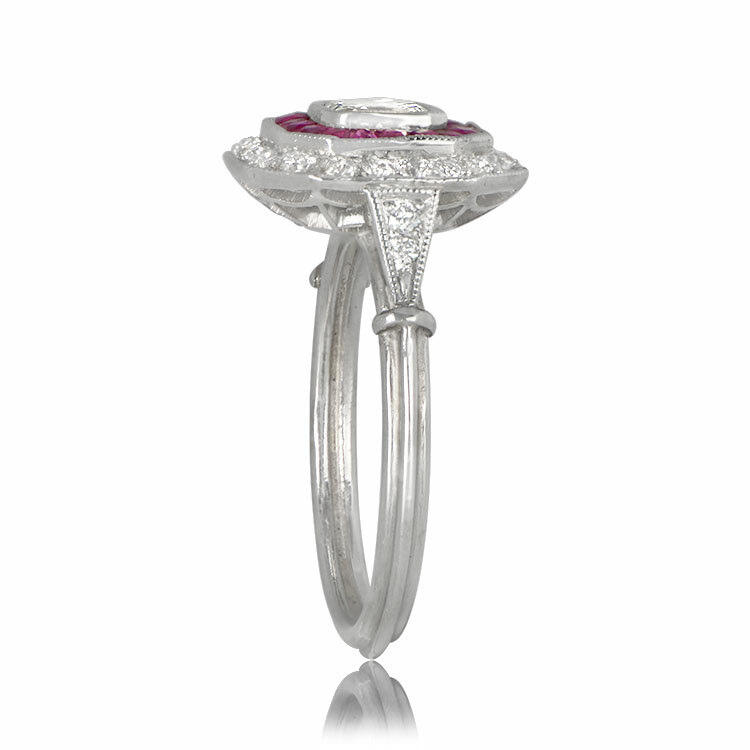 The measurements of this ring with the double halo is 12.15mm x 12.15mm. 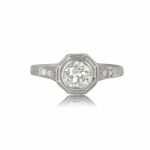 SKU: 12163 Categories: Asscher Cut Engagement Rings, Vintage Engagement Rings - Contact us and request additional pictures.